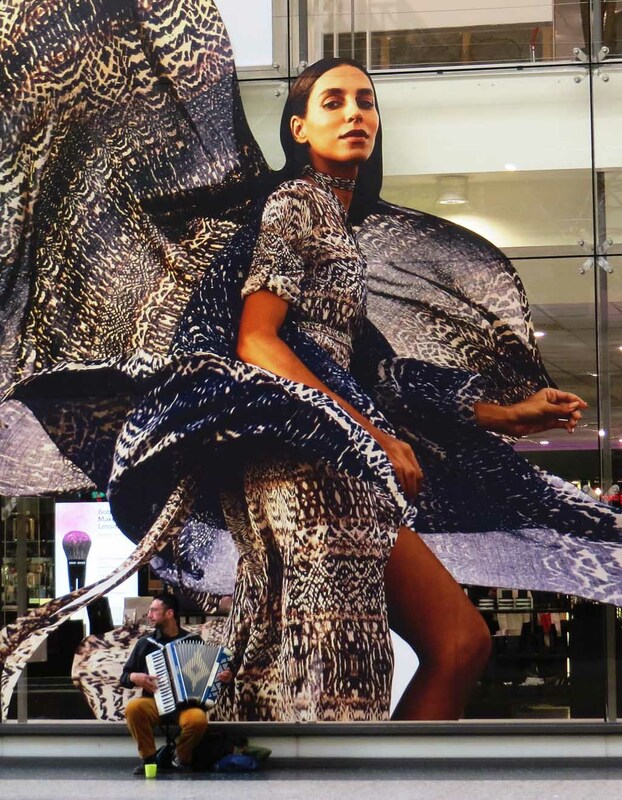 In the Nordstan shopping centre in Gothenburg (the stops are: Nordstan, Lilla Bomen and Brunnsparken), a busker was playing his accordian outside the Åhléns department store, dwarfed by this image of a commercial goddess. And below now is the thumbnail 117px wide by 150px tall. As with the next post, An Easter walk in Hisingspark, I originally published this on the separate Stops and Stories website. It was my second post there and I was still exploring WordPress plugins for presenting photographs. I transferred it here to TheSupercargo main site 8-9 April 2017.